The meeting of the European Cutting Tools Association, ECTA CONFERENCE 2014, was held in Montreux (Switzerland) from the 15th to the 17th of May. More than 70 companies from 12 countries (Austria, France, Germany, Italy, Spain and Switzerland, among others) took part in it. The work programme took place on the 15th and 16th with different talks about the present and tendencies of the cutting tool sector. 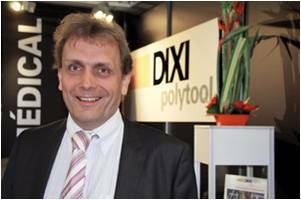 During the ECTA General Assembly held during the Conference, Marc Schuler, Director General of DIXI Polytool (Switzerland) was appointed the new ECTA President. Alexandre Fernández i Grau, President of the ECTA for the last four years, representing AFM- Advanced Manufacturing Technologies, will continue as Vice-president of the association for another two years.